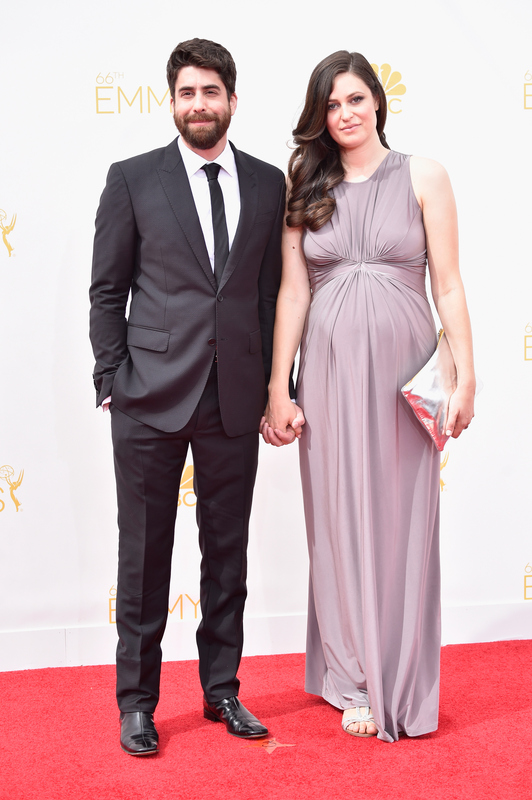 Fargo star Adam Goldberg's girlfriend, Roxanne Daner, is pregnant! The actor shared the exciting news on the WTF Podcast With Marc Maron on Dec. 18, which the couple initially was going to keep private. "My girlfriend Roxanne is pregnant," Goldberg revealed. "We weren't going to tell anybody — I mean it's obvious. She's gigantic. But we weren't going to tell anyone unless you ran into her." The reason behind hiding the pregnancy, Goldberg explained, was because of the tragic stillborn birth of their last child. "I haven't said this. I haven't talked about this at all. My girlfriend — we've been together for several years — we had a stillborn child about a year and a half ago," Goldberg said. "I've talked about it but not really in a public fashion. Totally awful, especially because I had been ambivalent of having children. It was four days after the due date. It was horrifying and it was also my worst fear." Although Goldberg did not share the due date of their child, back in August, Daner showed off a visible baby bump as they walked the Emmys red carpet together. The illustrator and designer doesn't appear onscreen with her beau, but the couple recently collaborated on his musical project, The Goldberg Sisters.